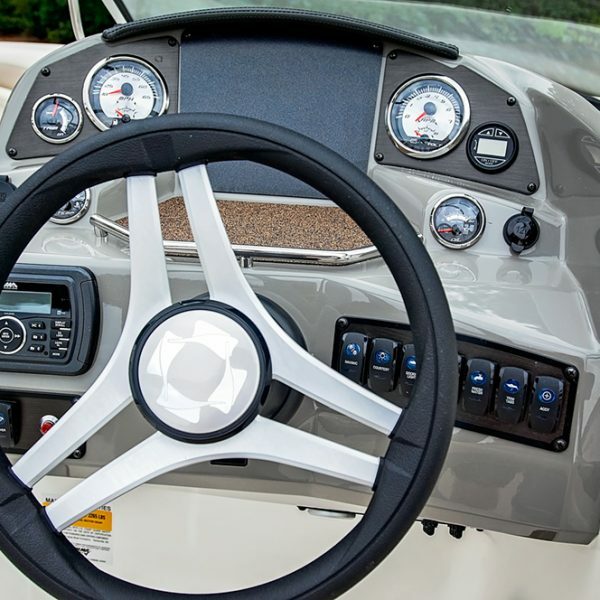 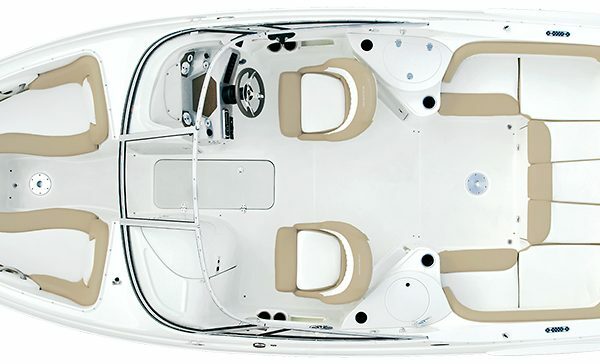 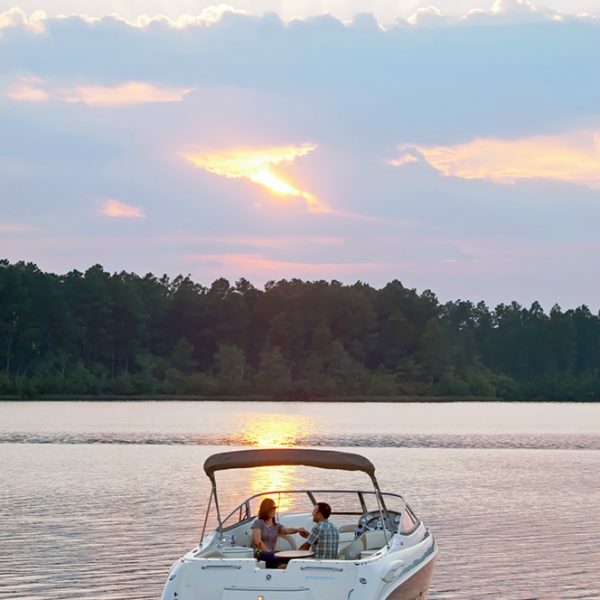 Even though it is the largest bowrider in our line, the 250LR still rides on our performance proven Z-Plane hull that allows it to reach speeds in the mid 50’s with only 320 horsepower. 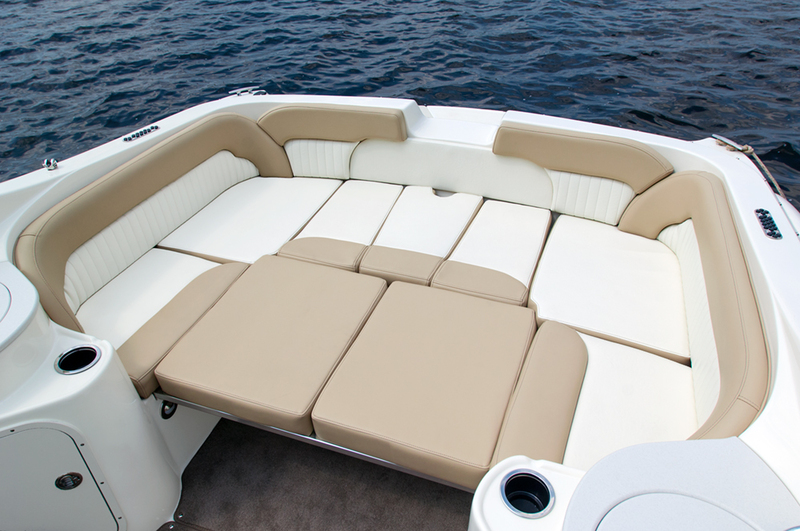 The wraparound, U-shaped bench seating creates a communal atmosphere in the cockpit, and can be easily converted into an oversized sun pad with the addition of the cockpit filler cushions. 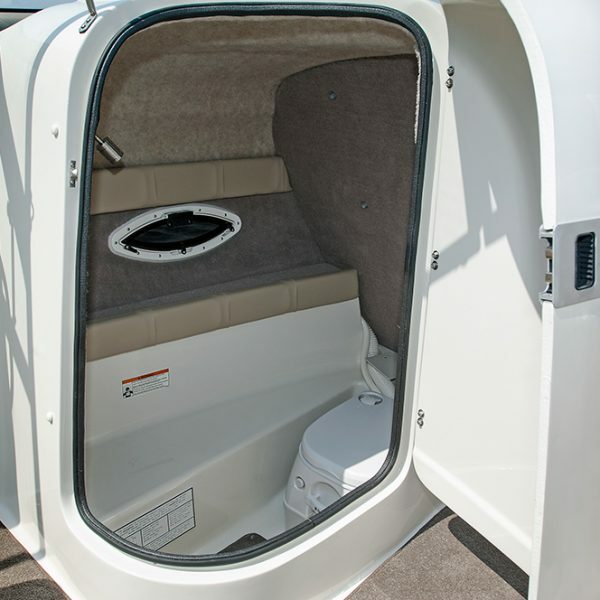 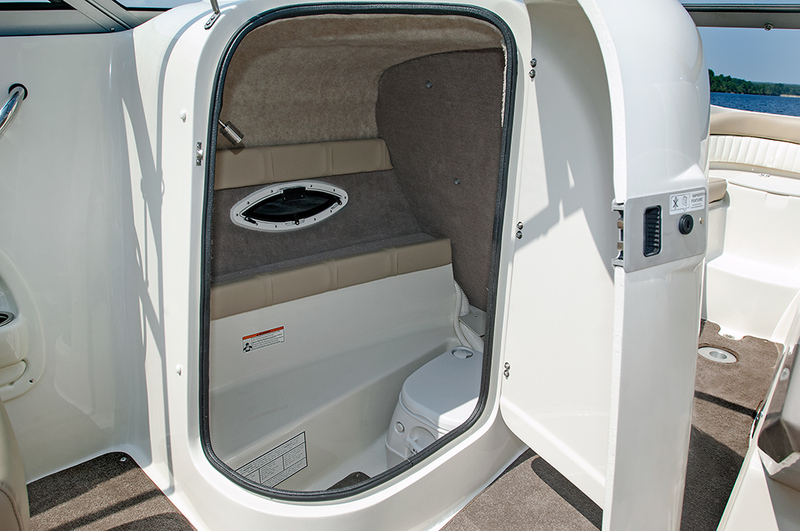 Entertainment features abound on this big bowrider—a built-in refreshment center featuring a freshwater sink with overboard drain, oversized cup holders, and a removable 25-quart cooler that can keep your beverages cold for the day! 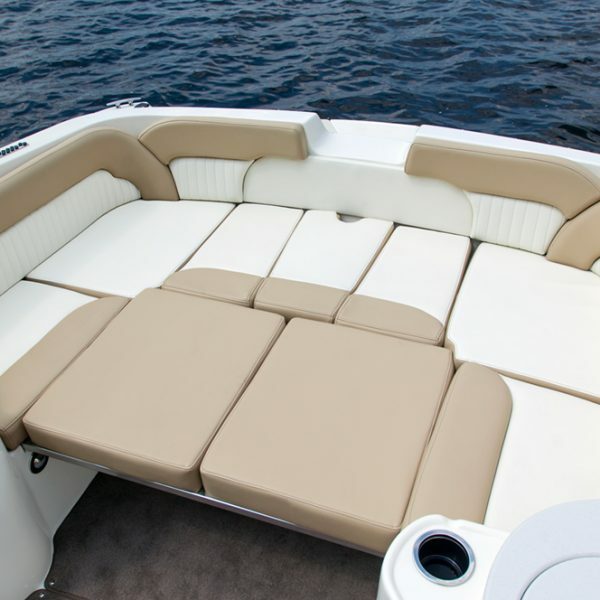 The fully integrated swim platform has more than enough room for relaxing, dangling your feet in the water, or getting ready for your favorite water sports activity. 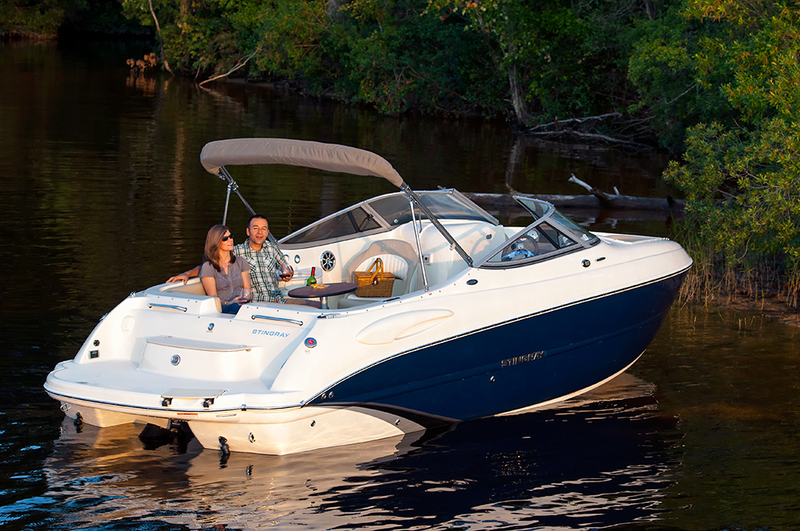 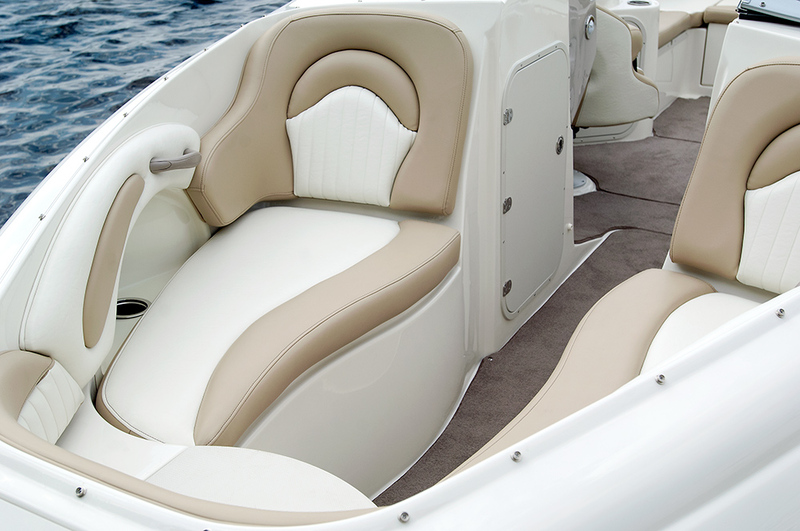 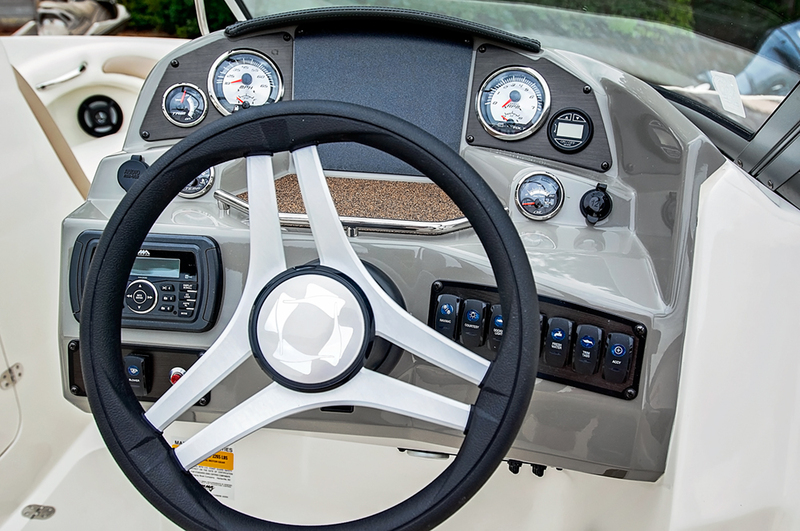 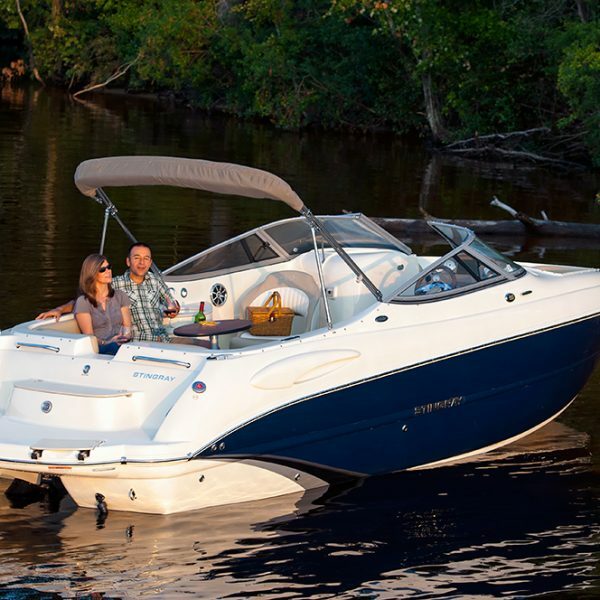 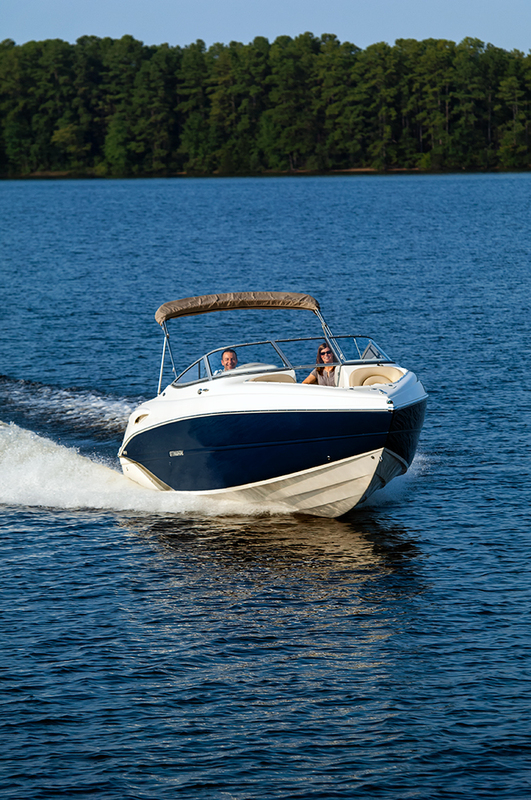 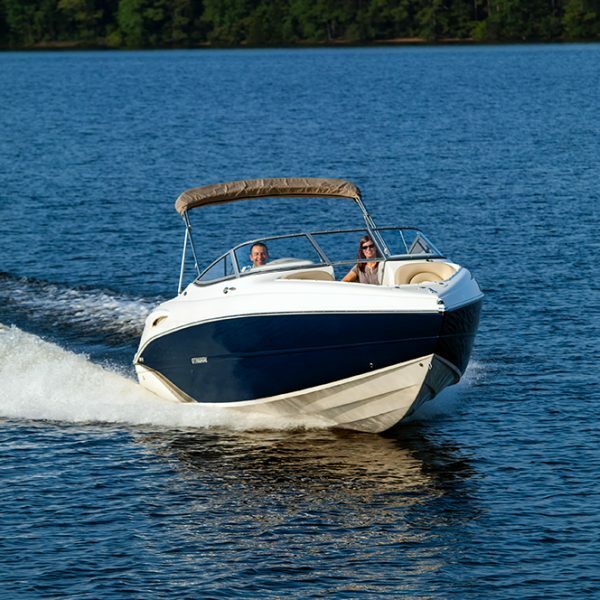 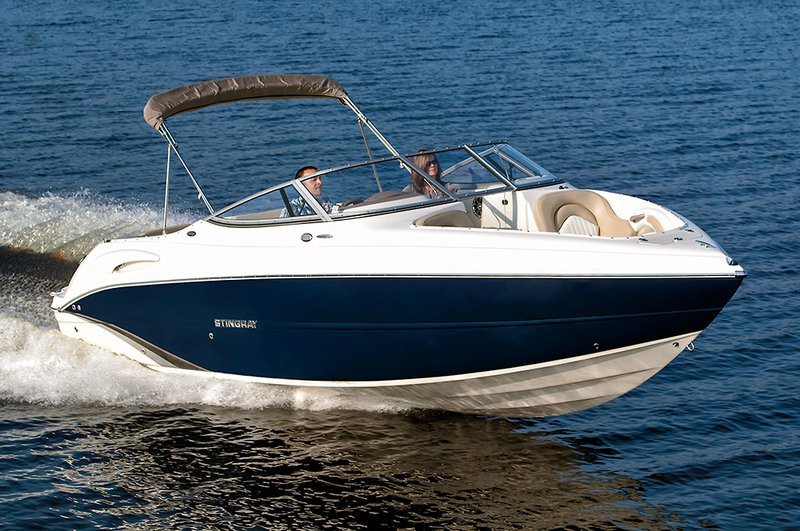 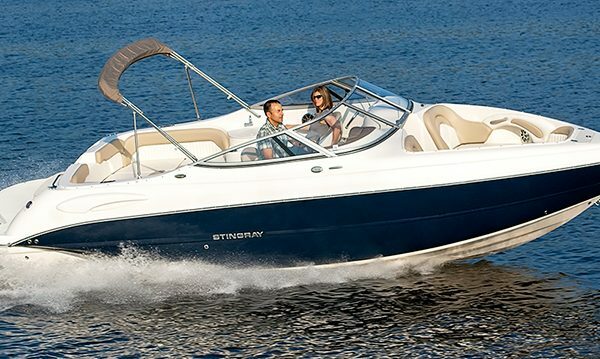 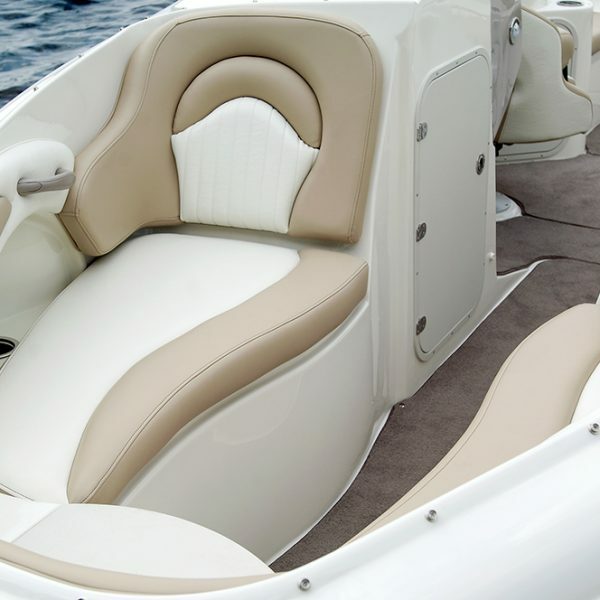 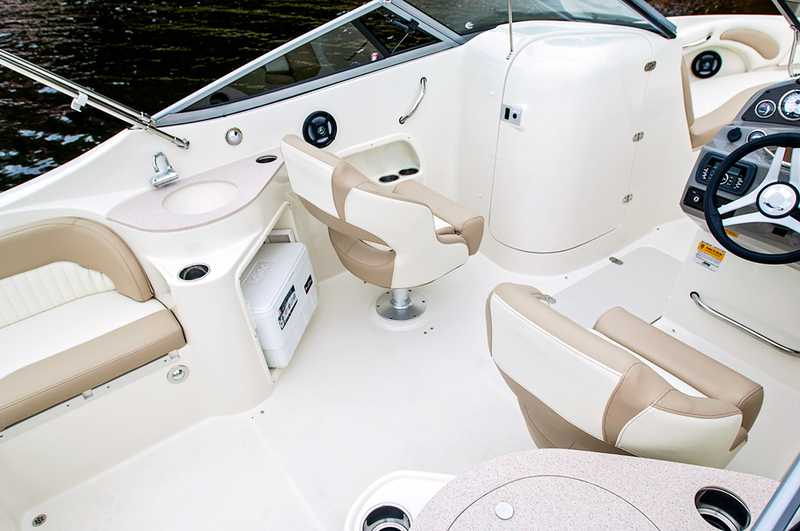 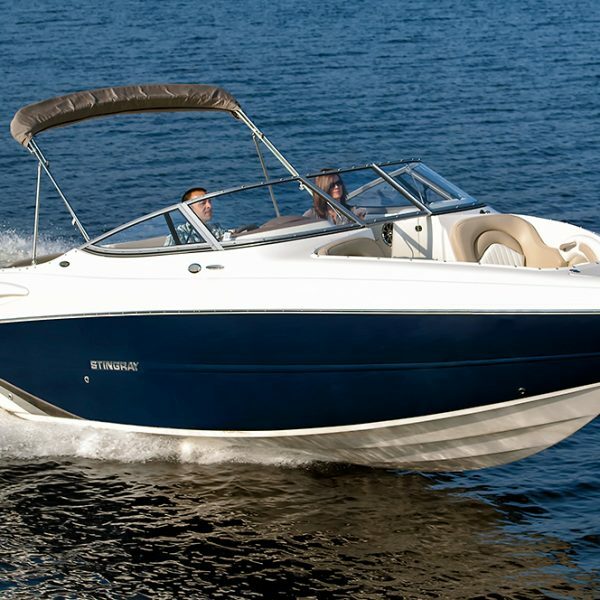 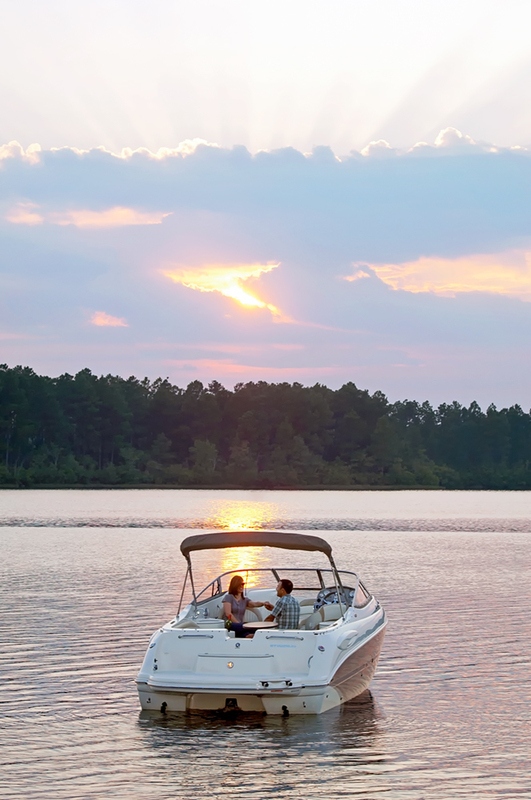 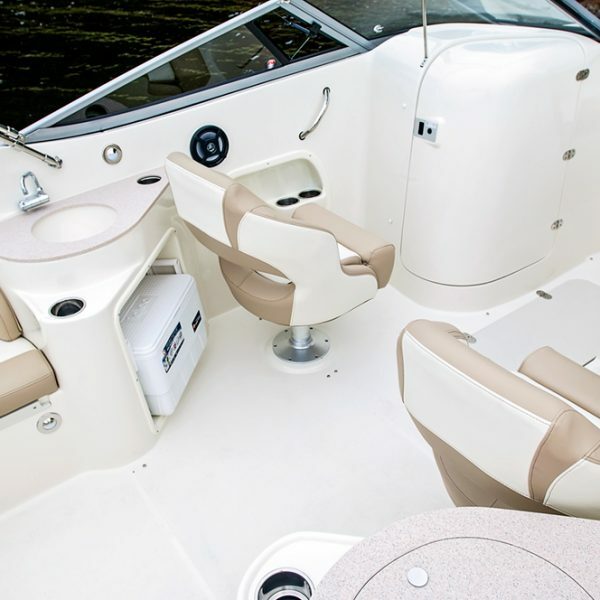 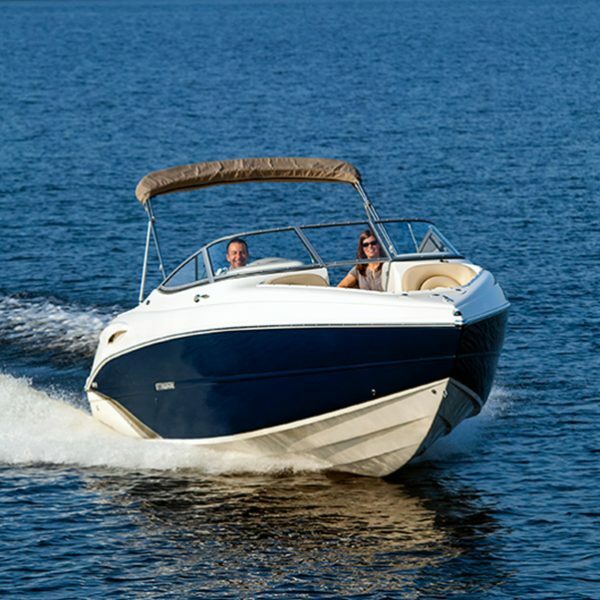 Looks, roominess, and performance—this big bowrider has it all.